Notes: Rugby Central was situated on Hillmorton Road roughly half a mile east of the town centre. 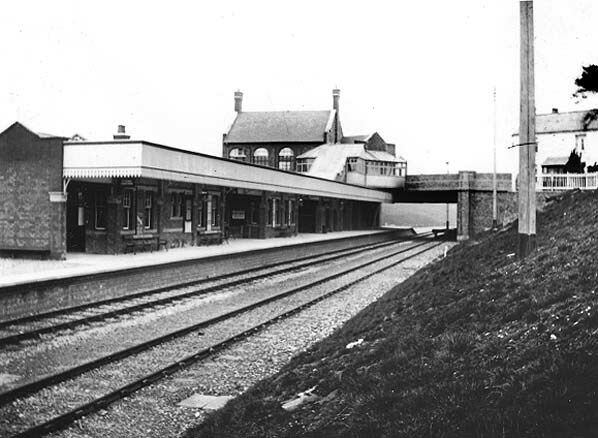 It consisted of a typical Great Central island platform with better facilities than the country stations with the booking office located at road level, built onto the side of the road bridge over the railway; the platform was accessed by a staircase from the booking office. 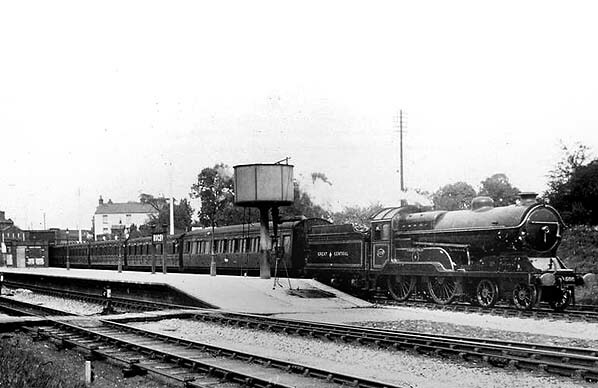 The 600 foot platform extended a short distance under the Hilmorton Road bridge The goods yard was located on the down side of the line and included a substantial brick built goods shed. September 1966, Rugby central was unstaffed with tickets being sold by a conductor on the trains. 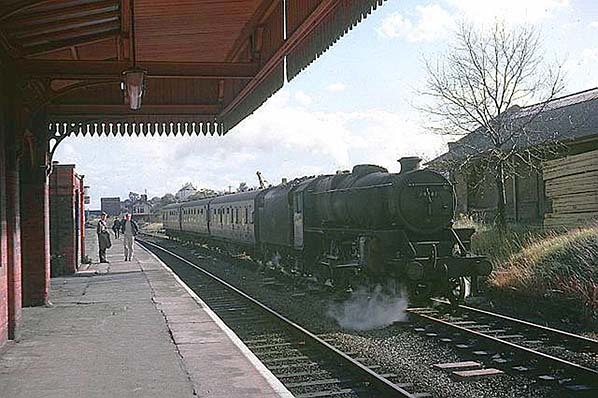 It had lost its goods service on 14th June 1965 but remained open for passengers until 5th May 1969. After closure, the station buildings were quickly demolished. 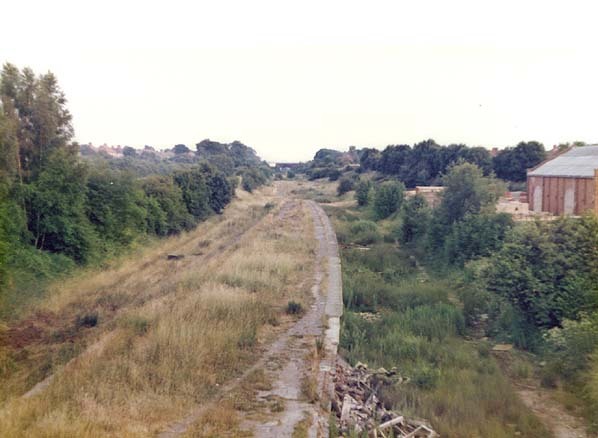 4½ miles of the trackbed trough the town was bought by Rugby Borough Council in 1970 as a public footpath and cycleway. Initially nothing was done at the station site. 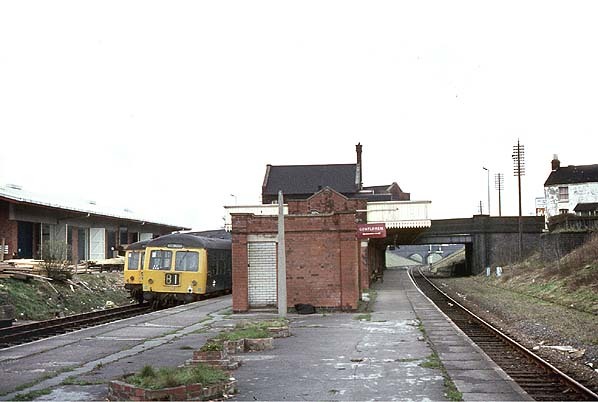 During the 1980's some restoration took place as part of a Manpower Services Commission scheme which involved replacing the platform edging and resurfacing the platform to lessen the chance of accidents. 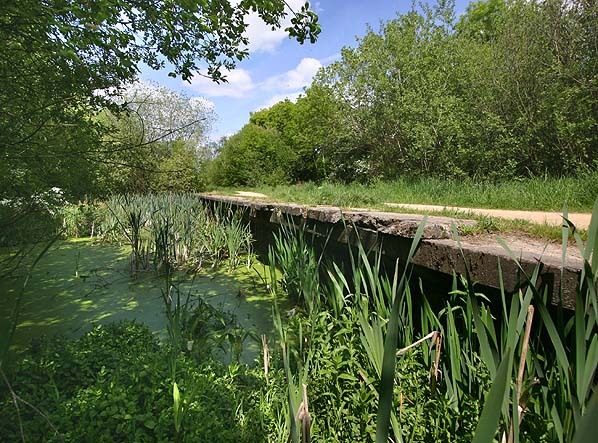 The Great Central Way opened as a nature walk in 1989; it is administered by the Warwickshire Wildlife Trust. Too see other stations on the Great Central Railway between Sheffield Victoria and Aylesbury click on the station name: Aylesbury, Waddesdon, Quainton Road (1st site), Quainton Road (2nd site)**, Calvert, Finmere, Brackley Central, Helmdon, Culworth, Woodford Halse, Charwelton, Braunston & Willoughby, Lutterworth, Ashby Magna, Whetstone, Leicester Central, Leicester North***, Belgrave & Birstall, Rothley**, Swithland****, Quorn & Woodhouse**, Loughborough Central**, East Leake, Rushcliffe Halt**, Ruddington, Ruddington Factory Halt, Arkwright Street, Nottingham Victoria, Carrington, New Basford, Bulwell Common, Bulwell Hall Halt, Hucknall Central, Annesley South Junction Halt, Hollinwell & Annesley, Kirkby Bentinck, Tibshelf Town, Pilsley, Heath, Staveley Central, Renishaw Central, Killamarsh Central, Beighton (1st site), Beighton (2nd site), Woodhouse Junction, Woodhouse*, Darnall*, Sheffield Victoria & Sheffield Bridgehouses.